Tokyo is officially gearing up for Olympic Games 2020 now. It’s a daunting work but it’s not Japan if it cannot do the work. First Japan has robust infrastructures to support the Olympic Games 2020. Its transportation system is second to none and tourism sector has more than enough experience to make everyone flies back home with huge smiles. Needless to say that Tokyo, world’s most populous metropolitan city has the best experience to host the crowd. Tokyo will be one of the most exciting place to visit for the four years to come because of Olympic Games. A residence to 33 million of people has so many things to offers whether you are history lovers, foodie, manga (comic) fan or a confused traveller not knowing where to go to. Rest assured the Japanese are kind enough to prepare Tokyo’s itinerary for you. We all had the opportunity to get a glance of the most popular sites in Tokyo from a 10 minutes video played at the Rio Olympic Games’ closing ceremony. 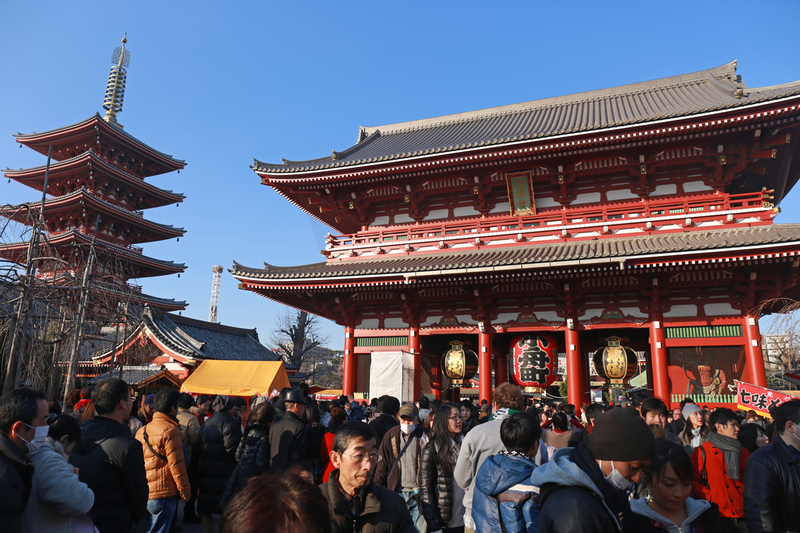 The video featured the most popular and interesting places to visit in Tokyo. In a nutshell, it is officially your Tokyo’s itinerary. The video did not cover all places in Tokyo for sure. Ginza, Imperial Palace, Harajuku and Meijijingu Shrine are not in the video but weren’t those places a little bit too familiar? Some of places featured in the video might not be heard of before. I had to admit as Tokyo’s resident I was still a stranger to some of the places like Tokyo Gate Bridge and Mount Takao. I heard the names before but never bother to pay a visit mostly because they were not popular for many tourists. It all changes from now on. A place can be overrated or underrated simply because of what travellers said. Just because we have not heard of a place that does not mean it loses its charm. Trust me Tokyo Gate Bridge and Mount Takao were featured in the Tokyo 2020 video for legit reasons. The most photographed site in Tokyo needs no introduction. 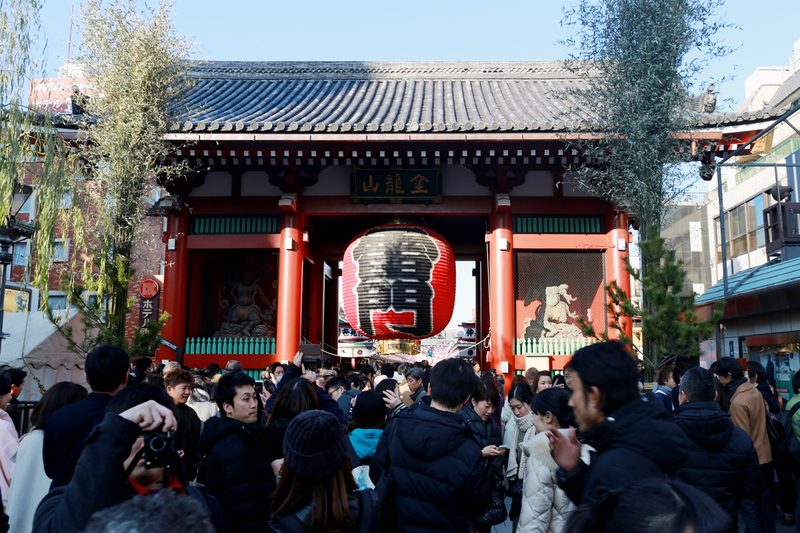 The Asakusa Sensoji Temple is known for its Kaminarimon or Thunder Gate and Namakise street a four hundreds metres long shopping street offerings numerous items from traditional Japanese souvenirs to food. If you are only interested in taking pictures of the Temple, the best time to visit is early in the morning or evening time (5PM onward) when the Temple is rather quiet. Tokyo Skytree is world’s tallest tower and second tallest structure after Burj Khalifa in Dubai. It has two viewing decks from 350 metres and 450 metres. Both viewing decks offer 360 degrees of Tokyo city where you can see how densely populated Tokyo is. 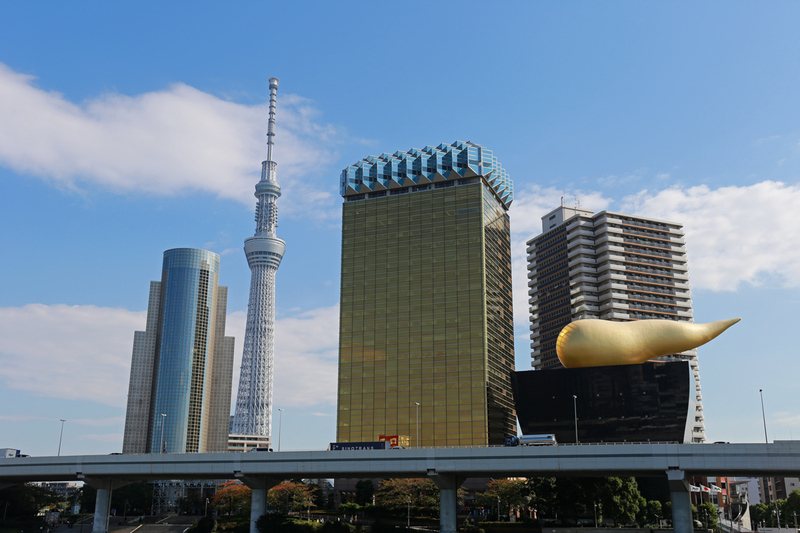 While the entrance fee may cost you some money and time to queue for the ticket, taking pictures from from Sumida river, where Tokyo Skytree is seen lining up with the Asahi Flame, will suffice. 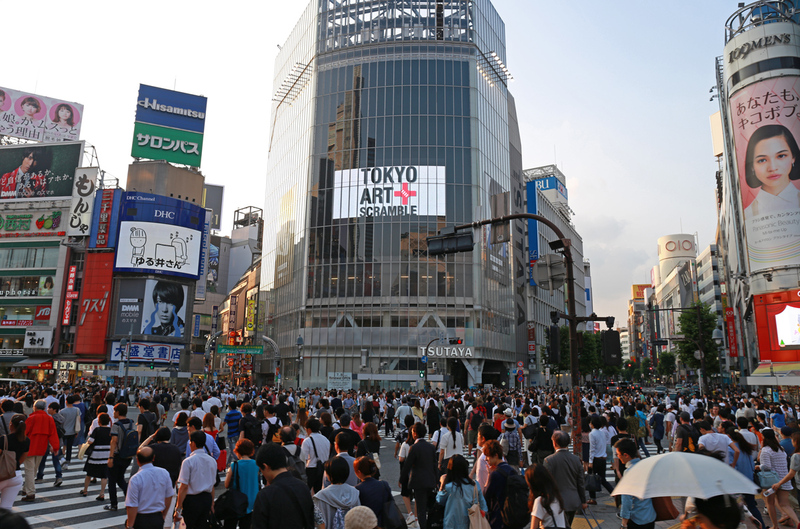 Shibuya is popular as get together for the young. For travellers this area is famous for Shibuya crossing, the busiest crossing in Japan. It’s never quiet from pedestrians from morning to evening. Shibuya is also famous for Hachiko statue which is located right in front of Shibuya train station. 101 years old does not necessarily mean it’s outdated. 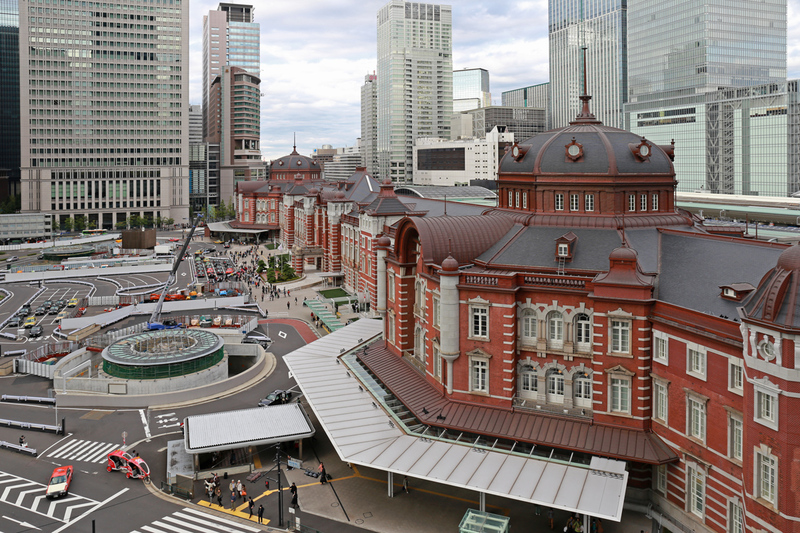 Tokyo Station always look like several years old thanks to well maintenance and continuous renovation.This is one of Japan’s oldest train stations and also city’s major hub to many other places in Japan. A park is currently being constructed right in front of the station and planned to be completed before Tokyo 2020. Shinjuku is popular obviously for strong reasons. Long before Scarlett Johansson’s Lost in Translation, Shinjuku already earned its fame for the local. It’s a home to the busiest train station, shopping arcade, fine dining, skyscrapers and unique architecture buildings. 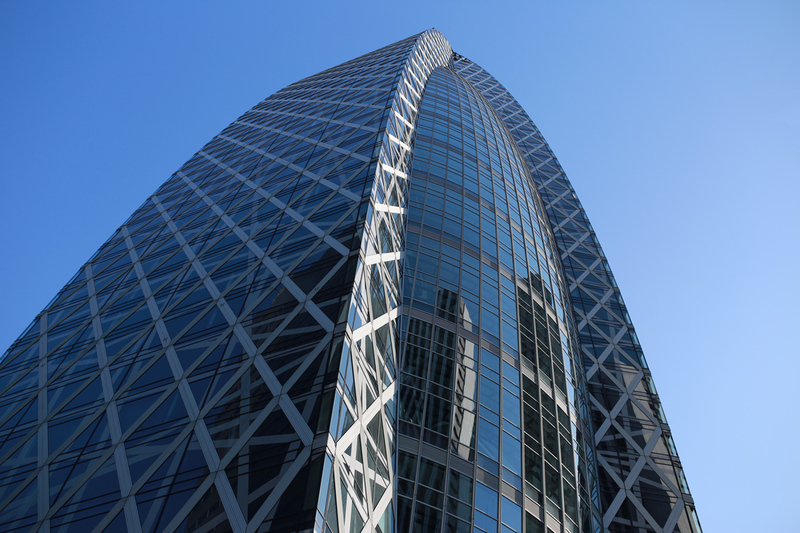 Two buildings featured in Tokyo 2020 video are Cocoon Tower and Tokyo Government Buildings. 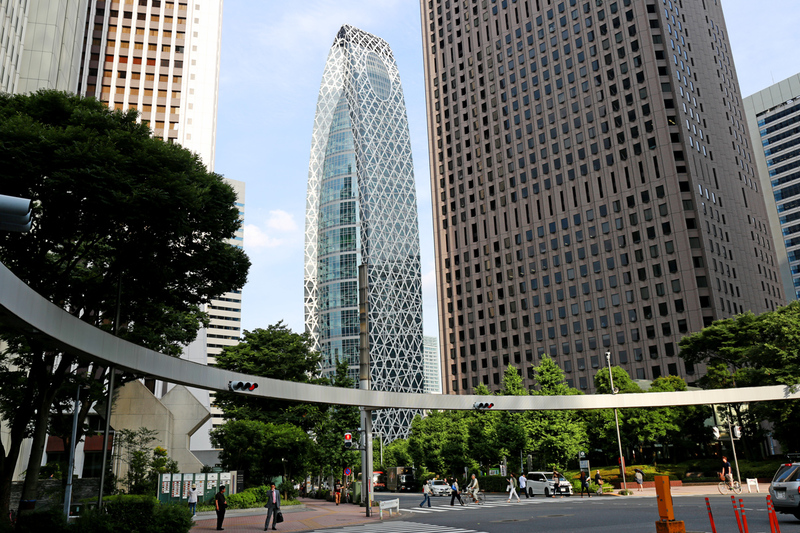 Cocoon Tower is known for its unique design and its surrounding. 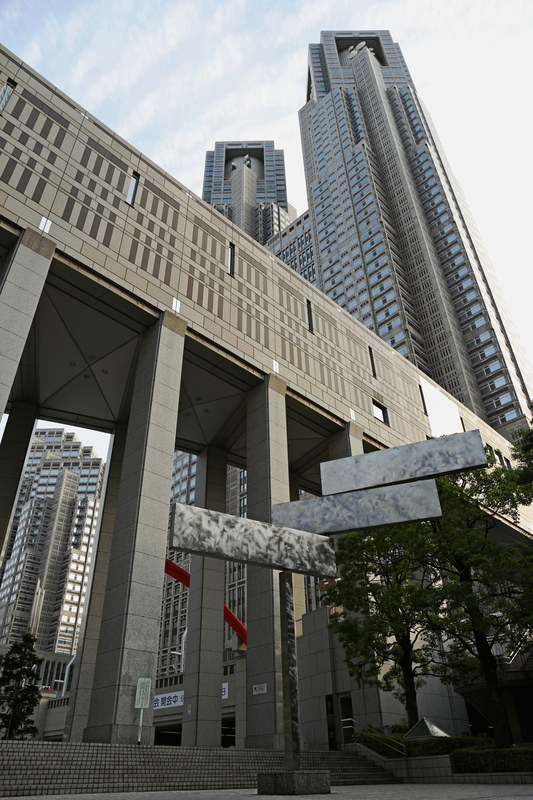 Tokyo Government Building is popular for its viewing deck overlooking Tokyo city without any admission fee. Tokyo Tower is one of the most popular tourists sites in Tokyo. Its design is inspired by Eiffel Tower and illuminated in the evening. It has two observation decks at 150 metres and 249.6 metres high. The best place to take pictures of Tokyo Tower is from 40th floor of World Trade Centre. 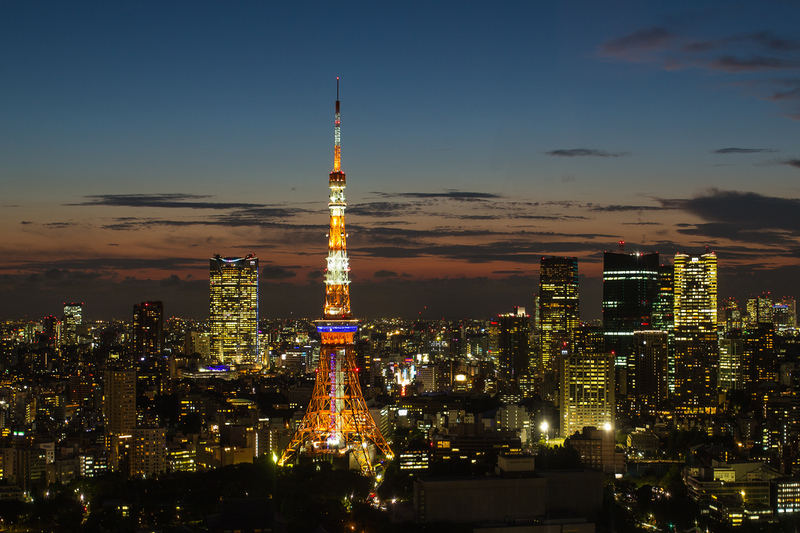 On a clear weather, Mount Fuji stands tall in a distance turns Tokyo Tower into a stunning picturesque of Tokyo. 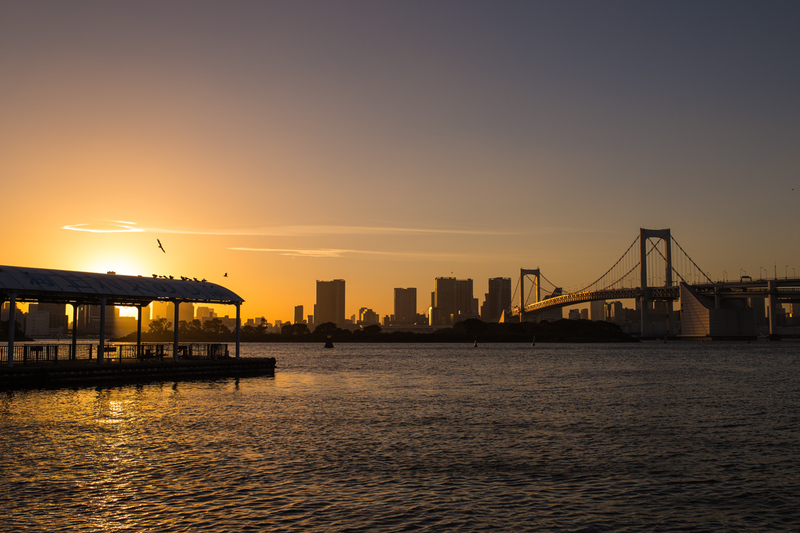 Odaiba is popular for a striking view of its man-made beach and the rainbow bridge. It also houses modern and state of the art architecture like Fuji Television headquarters and National Museum of Emerging Science and Innovation. Travelling to Odaiba by Yurikamome new transit is an experience not to be missed while in Tokyo as it gives a ride to the future sense. Tokyo Gate Bridge may be a strange name to tourists but well known amongst the local especially low light photography lovers. Tokyo Gate Bridge’s unique architecture was made in consideration to its neighbouring areas, Haneda Airport and ports. Its upper structure is not that high to allow airplanes to fly by. 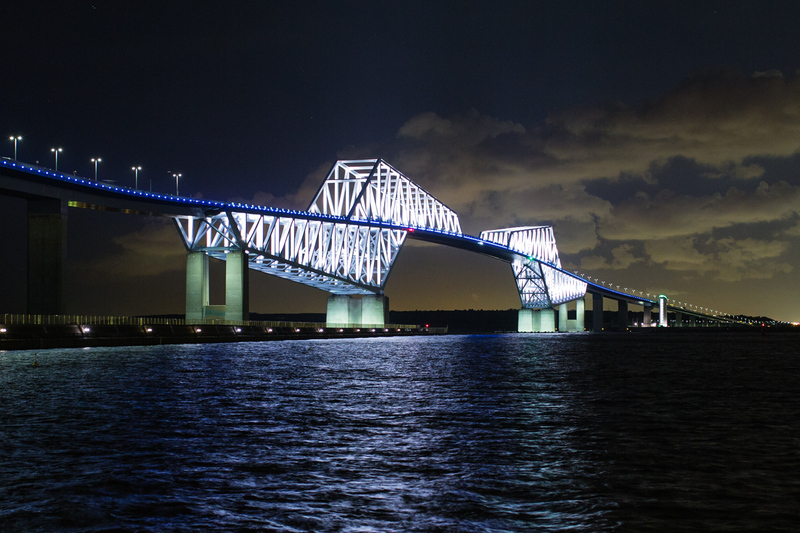 Its lower part is designed high enough to allow big ships to pass underneath. Going to Tokyo Gate Bridge is still a challenge for many travellers but it should not keep you from checking out the place. It takes 10-15 minutes bus ride from Shinkiba station to reach the park main entrance and 15-20 minutes walking to river bank. It’s best to go to the Tokyo Gate Bridge before 0730pm when there are still many people around the area. Mount Takao is underrated and overlooked by most of travellers even though it is the most famous mountain in Tokyo. It’s one of autumn foliage sighting in Tokyo. In summer, Mount Takao never quiet from visitors, be it kindergarten students to senior citizens. 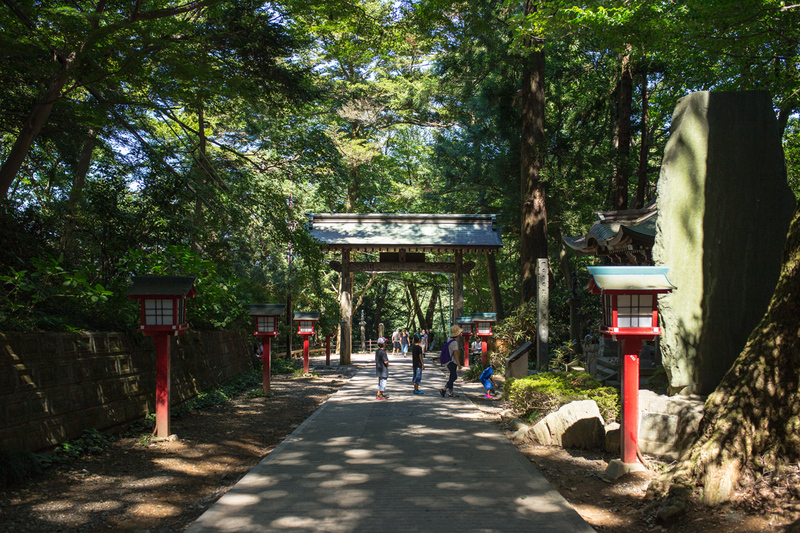 Unlike Mount Fuji, Mount Takao can easily be reached from Tokyo and only at 600 metres high. It has 9 hiking trails with different levels of difficulty. When hiking is not your forte a cable car and chair lift offer you an easy way to the peak without losing your breath. Kabuki-za in Ginza is main kabuki theater in Tokyo. Kabuki is classical a Japanese dance drama which performed by artists with elaborated make up. 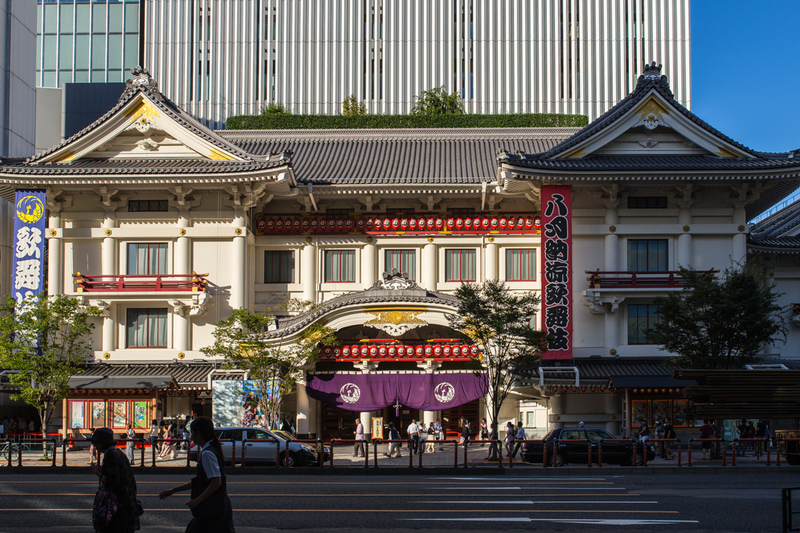 Kabuki-za in Ginza is known for its unique architecture, a combination of Japanese castles and temples of pre-Edo period. The drama is performed in Japanese and English explanation is provided in a pamphlet. Taking picture during the drama is strictly prohibited and can get you expelled from the kabuki-za. There’s usually a time to take pictures with the artists after the drama ends. Which of these places are you interested the most in visiting?